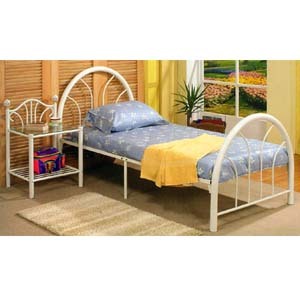 3-Pcs Twin Bed. This Bed Includes Headboard, Footboard And Rails. It Is Available In Color White And Black. Also Available (Not Included In The Price) Matching Night Stand Also Available In Black And White.